The 44th round of the IWA OutdoorClassics closed with new records after a four-day event from 3 to 6 March 2017. This year was the first time that the leading international exhibition for hunting and shooting sports, outdoor equipment and civilian and official security needs registered more than 1,500 exhibitors in a display area of over 100,000 square meters, as well as over 49,000 trade visitors. The number of exhibitors was up around four per cent on the previous year to 1,515 (1,455 in 2016) from 57 countries, while trade visitors increased by around eight per cent to more than 49,000 (45,530 in 2016) from 120 countries. Eight out of ten exhibitors and almost two-thirds of trade visitors flocked to Nuremberg from countries other than Germany, making the IWA OutdoorClassics one of the most international events at the Exhibition Centre. 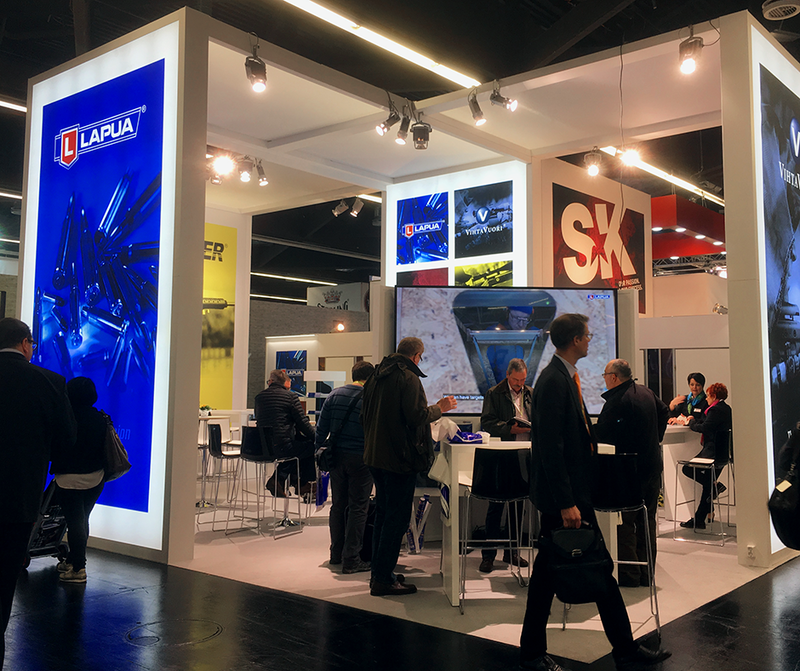 Lapua thanks all our show visitors, see you again next year!